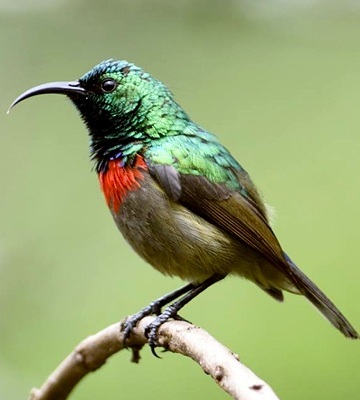 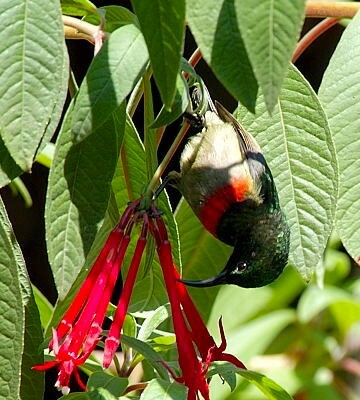 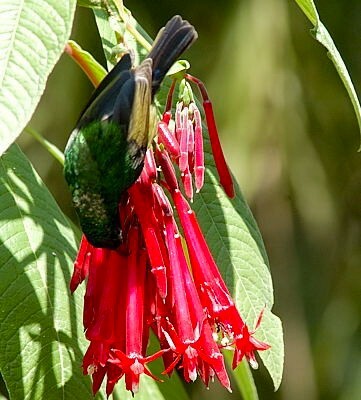 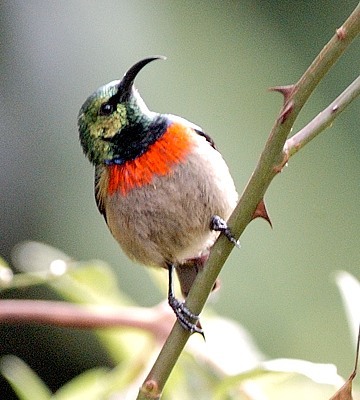 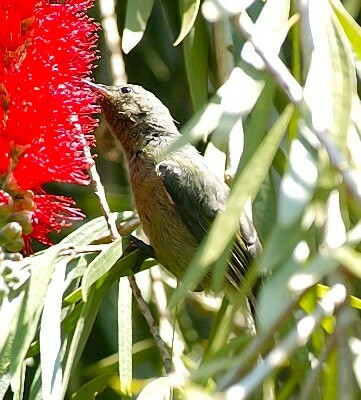 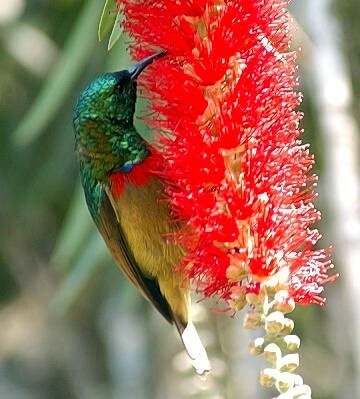 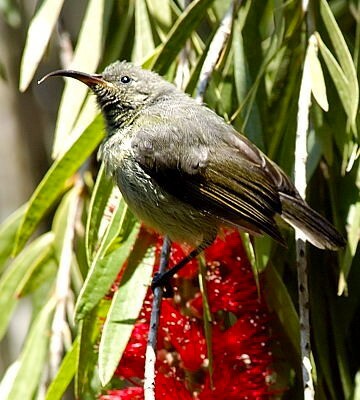 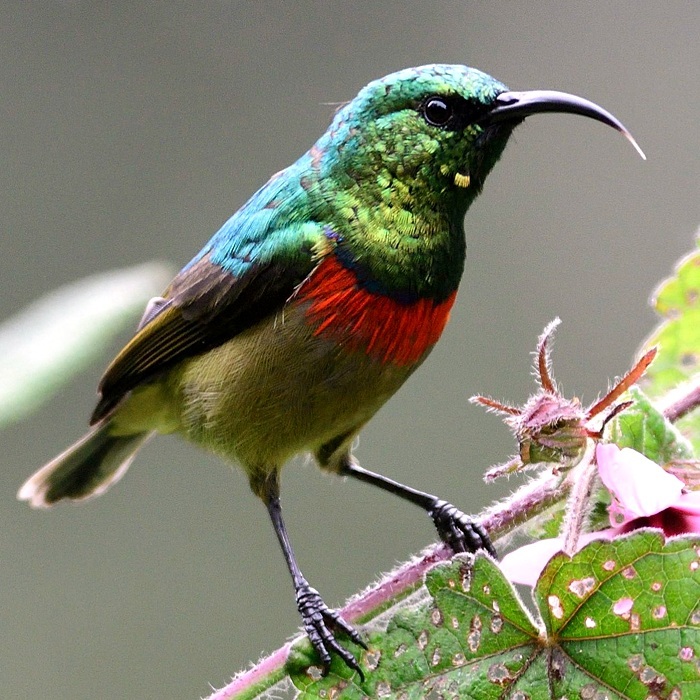 The Usambara double-collared sunbird is endemic to the South Pare and Usambara mountains. 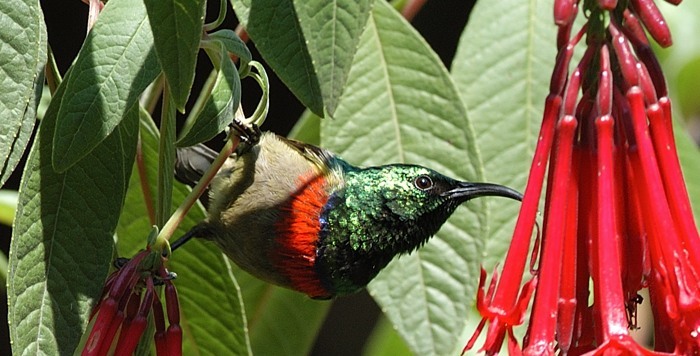 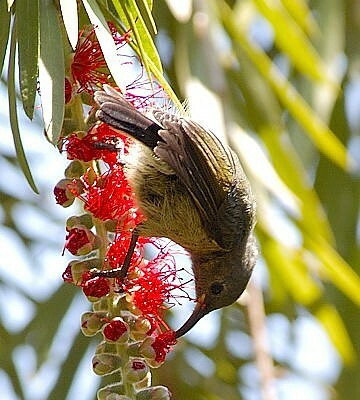 It was formerly considered a race of the eastern double-collared sunbird. 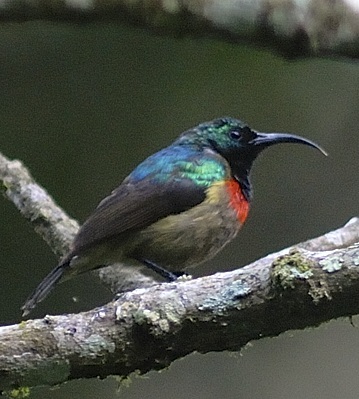 The left lower bird was seen in the Mkuzi FR (4-14), courtesy of Tom Cadogan; the right 6th row photo (Mueller's Lodge, Lushoto, 7-15) and the bottom photo (Magamba FR, 8-17) are courtesy of Per Holmen. 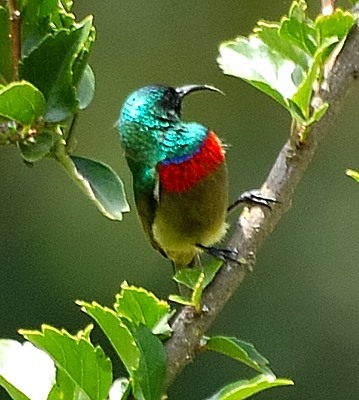 The other photos were also all taken in Lushoto (left 5th row, 12-13; and 7-04).